I have recently been getting into watching and listening to Podcasts on my Itunes software. It is a great way to quicklly and easily expand your design software skills without paying for courses or books. We all know how much time and effort it takes to keep up with new software and technology. I have not checked out all of them yet, but I can recommend a few. 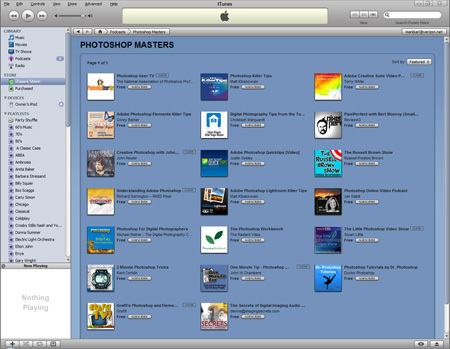 There are also Podcasts for other applications like Illustrator and InDesign in addition to general design topics.